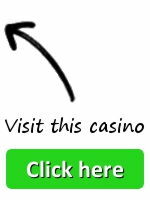 In March 2016, two Swedish casino enthusiasts decided to make their own website. And after much work this ended with Dunder, which is now one of the most impressive Yggdrasil casino’s that you can find on the internet! This proprietor offers a design which looks very good and sleek, a rather practical site navigation which will lead you to every page in no-time, an unbelievable amount of games and of course a very impressive speed when it comes to processing deposits and withdrawals. This combination of factors has convinced us to add Dunder Casino to our shortlist of recommended websites where you can play the slots by Yggdrasil Gaming for real money. And so, if you as a gambler happen to be interested in these specific games, then we would definitely suggest that you create an account there, because that would bring all kinds of advantages. An online casino can’t just decide to offer its services out of the blue, because they would first need to get the necessary licenses. But luckily that is not a problem whatsoever for Dunder. First of all, they operate from the island of Malta and thereby from the European Union, as they are also licensed by the MGA. That is short for the Malta Gaming Authority, which is perhaps the most important and the most prevalent government institution which provides casinos with licenses in the EU. That means you will always have the necessary protection against unfair treatment, on top of the fact that this Yggdrasil casino already has an outstanding reputation. But that isn’t all. On top of the necessary MGA certificates, they also managed to get a license from the UKGC. That is short for the United Kingdom Gambling Commission and they had to arrange the necessary paperwork from them in order to provide their services to players from the UK. So, they also met all of their requirements, which means you can rest assured that their policies are as fair as they come. And speaking of policy… You don’t need to worry about depositing or making a withdrawal there either! Deposits are instant and withdrawal requests are processed within 24 hours. Please do keep in mind that you need to have at least 20 euros, pounds or dollars in your account if you want to request a withdrawal and a standard withdrawal fee of 2.50 applies. Furthermore, you might be interested to know that you can put money in your account with every standard method, including of course Visa, Mastercard and Paysafecard. The games that they offer at Dunder Casino might actually be the most impressive property of this proprietor. They have no less than one thousand different games in their lobby which you can play for real money! This includes well over 600 different types of slots and videoslots, including of course the entire selection of slots by Yggdrasil Gaming. That means you can find literally every videoslot by this particular developer on their online casino page! 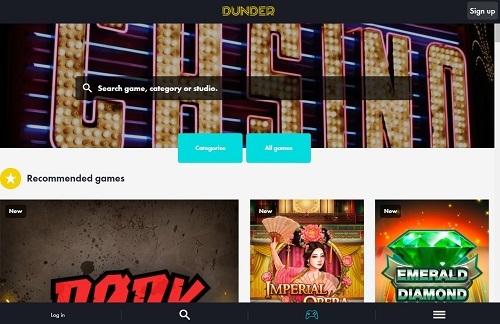 Of course, it is already enough that Dunder offers an insane amount of games, while they are also very reliable as an online casino. But there are plenty of other reasons why you should start playing there! For example, as a new player, you can claim up to 600 euros, pounds or dollars in bonus money. And in addition to that, you will also get an unbelievable 200 free spins! Well now, you’re not going to get all of this in one go, because this giant offer has been divided between several different deposits, just like for example at LeoVegas. In the overview below you can find how you can claim this combination of offers, so that you can easily calculate how you can best make use of these bonuses. On your first deposit they will double the money that you put on your account, because here you will get 100% bonus up to a maximum of €50. And that isn’t all, because on top of that you will also qualify for 200 free spins on Starburst! Please do keep in mind that those 200 spins are not added to your account in one go, because you will need to log in for those ten days in a row. In other words, you will get 20 spins per day, which are divided over the first 10 days. On your second deposit you will get more money, but against a lower percentage. Here you will get 50% bonus up to €100 and that means you will get one and a half times as much playing money as usual. On your third deposit their will continue with this trend, as you will get more bonus against a lower percentage yet again. In this case you will get 25% extra up to a maximum of €150, meaning you will get one quarter extra to play with. On your fourth deposit you will get the remainder of the welcome bonus. Here you will qualify for another 25% bonus, but this time with a larger maximum amount, as you can get up to a maximum of €300 this time. Please note that the welcome bonus of Dunder may be different for players from different countries. If you want to have a confirmation of what exactly is available for you, then we would suggest that you contact the customer support department of this specific Yggdrasil Casino. They are available daily from 10 in the morning until 1.30 at night. May you still wonder if Dunder Casino is suitable for mobile gamblers then here is your confirmation. We don’t need to share too much information regarding this matter, because they simply have a responsive website which works perfectly. We are talking about a very modern product and that will become apparent once you open it while you are on a mobile device like a tablet or a smartphone. This will let you operate their website the same way as you would on the computer, except with a navigation which is optimised for mobile use.